Please feel free to download and use these printable teaching resources (usually in powerpoint) that I have made for my students to use. 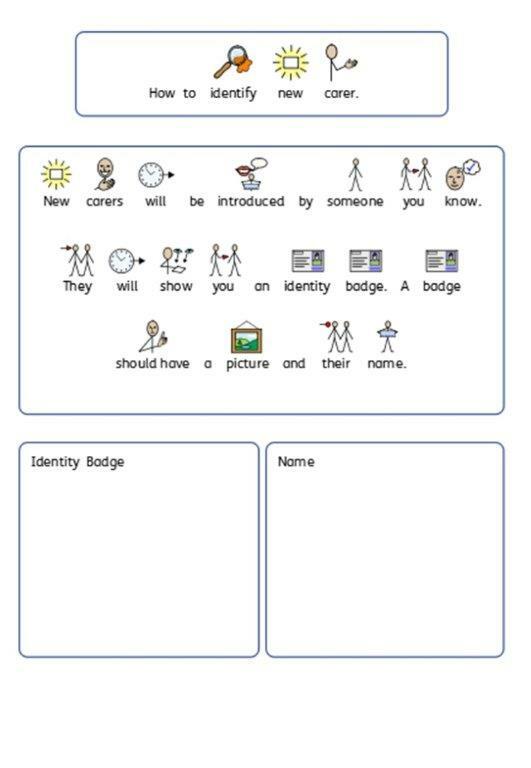 Often these are designed to be used as a Toolkit of thematic downloadable resources, printed and laminated (with Velcro) to use as folder tasks for TEACCH systems for Autistic learners. They can also be used as worksheets for ASDAN evidence etc. Many use widget software symbols to support reluctant or pre-readers. As educators it is important to be collaborative with our classroom resources and share learning activities and any free teaching resources we come across, feel free to share and lesson ideas or teaching tips that you have used in the comments section. All Space and planet lesson resources now have their own post with teaching ideas suitable for learners with a range of additional needs. The SEN resources blog has some fantastic ideas including this Masking tape runway. 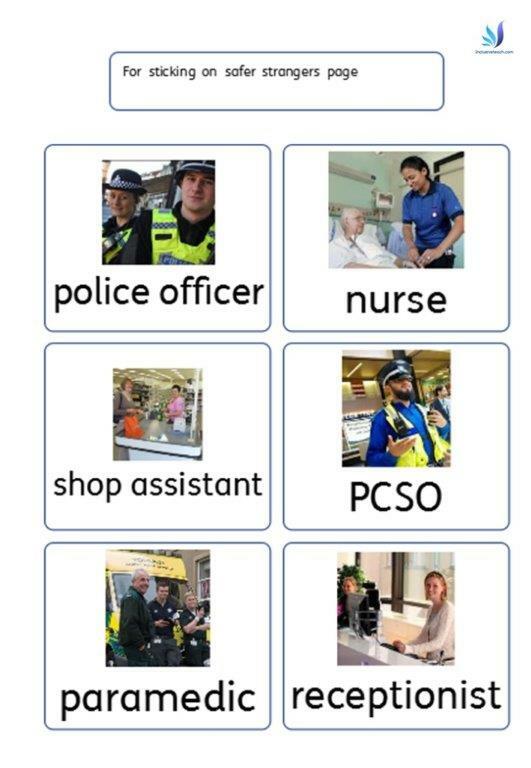 People who help us (Police, Fire Brigade, Nurses etc) have their own page of free printable resources. Language and Communication Commenting Board. This is a great simple literacy activity where the learners comment on the picture. 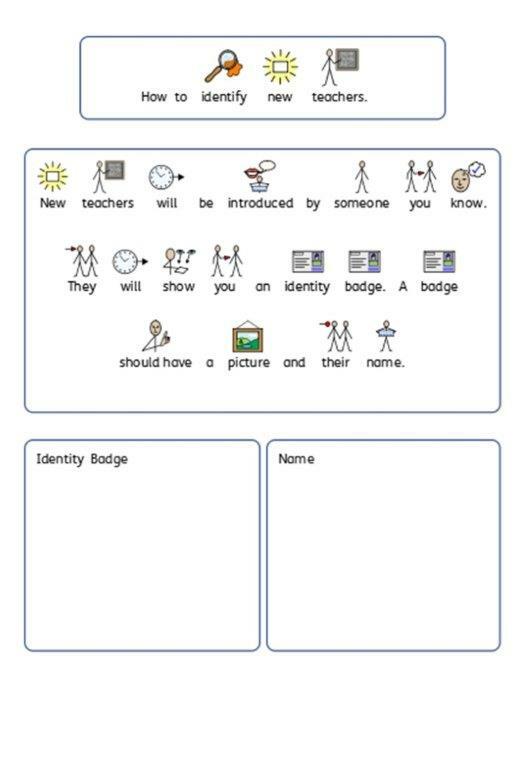 Download the Symbol supported sentence construction printable worksheets, students can circle the correct words, you could laminate and dry-wipe these or classic cutting and sticking. These are hopefully useful in planning a literacy lesson. They can easily be made interactive through adding pictures of the children. Download the Emoji Emotions 3 worksheet bundle here. I used this as an activity to back up emotions work. I printed a lot of the emojis and hid them in a sensory tray. Once the student found one they could tick it off. Included in the bundle is a sheet of printable dominoes. Emotional education resources are so tricky to generalise but i hope these resources facilitate the teaching of emotions to some extent. You can stick images of the child and their new friends and classmates onto this sheet. When I did this one child expressed concern about people already being friends. Two labelling worksheets for Miss Trunchbull and Miss Honey. Download the Zip file with editable Matilda Printable worksheets Here. Just quickly made this as it’s snowing, rick off the snowy day images as you find them! Could use on a walk or as a scavenger hunt. Local or National Newspaper Worksheet. You can use this to find specific text and images as you look through a paper (local or national). I.e Find a word beginning with “th” find an image of a person etc. I’ve just started a minibeast topic so expect some resources to be added. To start with download this Minieast handwriting practice sheet. Probably only useful this week but here is a worksheet and a questions game to play with your class. Download – New year holiday diary resources here. Religion & Beliefs Printable Resources. Some of these were worksheets designed around the education aspect of the PREVENT duty. Just general worksheets around the key religions in the UK. At this time I haven’t made up in-depth explanations of each religion. I hope you find these useful in promoting education of beliefs and religions. Here is an awesome video bingo (well matching as everyone would win but feel free to delete some images to make a bingo) using a fire engine video from Kent Fire and rescue(Click here for youtube link). I love doing these and the students find them really engaging. The black and white page is if you have a student that prefers to match or won’t look at the screen (Click HERE for more). There is also a screenshot from the video used to make a build your own fire engine worksheet or cut and laminate as a jigsaw. Student voice is essential in developing an online safety (e-safety) policy for SEND. The threats and specific challenges facing autistic children online is not an area that is well enough researched or understood. This communication board may help you find out how the students use the internet. Simple online safety matching worksheet. Communicating with and without technology worksheet. David Walliams The First Hippo In Space. Symbol-based simple worksheets (P4-7 )if you are reading the book in class. No Copyright infringement intended. Find all in this powerpoint – first_hippo-on-moon_worksheets. These support the read write inc phonics scheme. 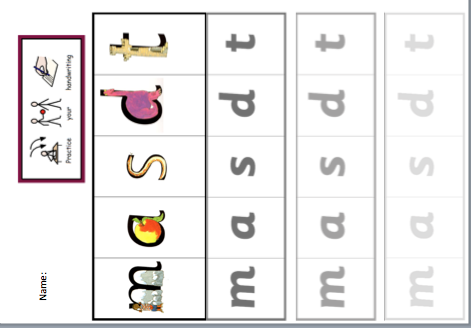 I used these to try and embed phonics within group reading. We have a number of students who like dinosaurs and the Gruffalo is a great book with an excellent website. No copyright infringement intended! We have a also have a post written by an experienced Early Years (EYFS) lead on making your Phonics lessons inclusive. My most popular resource on TES resources. Here are some simple overwriting sheets to support Read Write Inc click on the speed sounds set you need. These are a faded font for easy overwriting. One of the most popular free resources on TES is this overwriting number task sheet. Dotted font. You can lamintae and reuse this as a daily task that facilitates numeracy skills and fine motor skills. 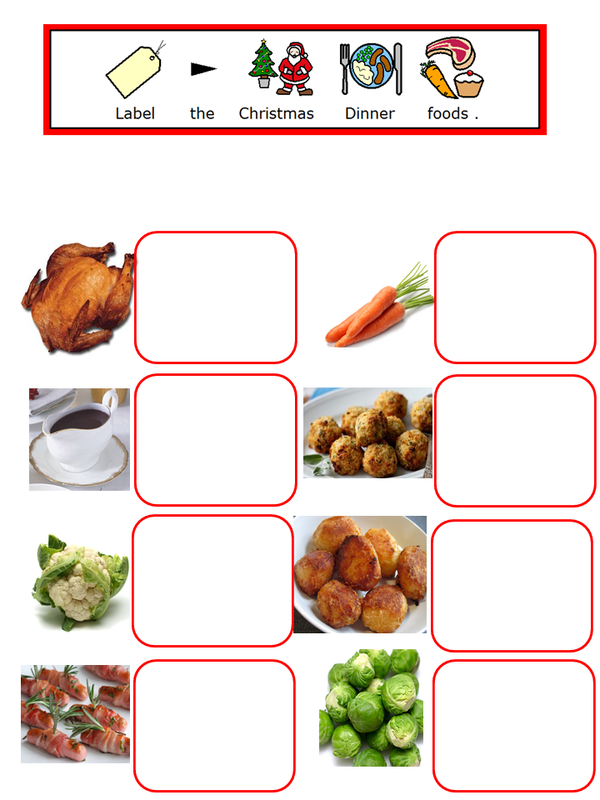 Click Here to Download Breakfast ASDAN worksheet – Students can create an English or continental breakfast, what makes this lesson even more effctive is if you can use this as a follow up to a practical teaching session to enable the learner to put the lesson in context. ASDAN Taking the Lead Birthday List – A sheet your students can add friends birthdays onto. Just a crisp taste test sheet. Put three crisp flavours out labelled ABC and guess the flavour. 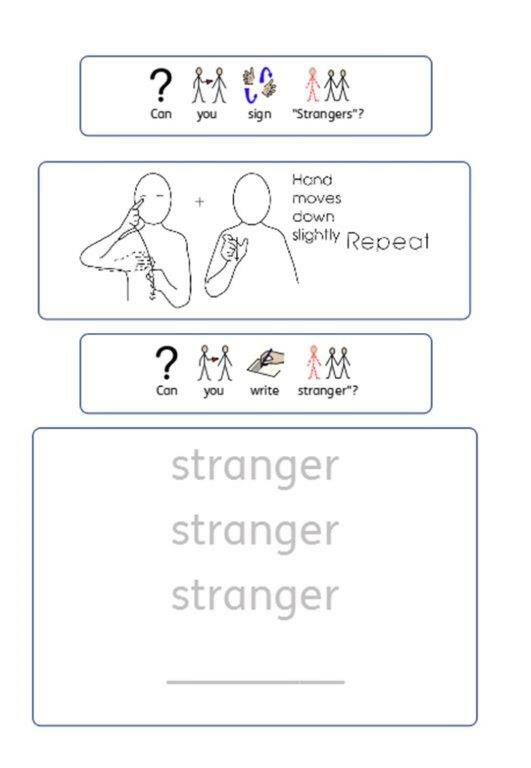 This is a stranger danger/Safer stranger worksheet pack. Widgit symbol supported. 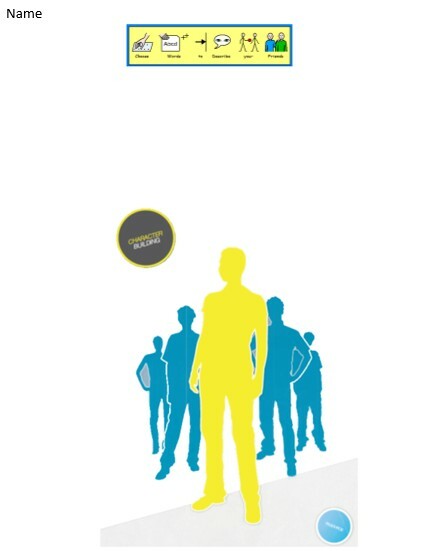 Also contains a page for new teachers or carers. They should wear an ID badge etc. 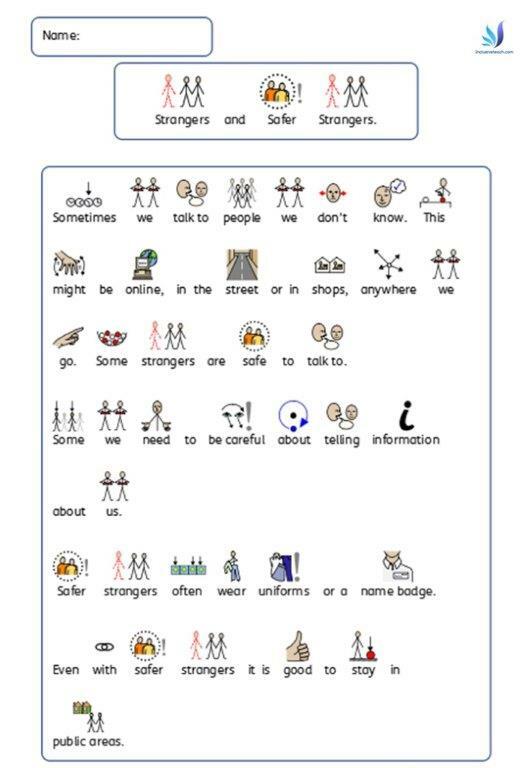 Includes the Makaton sign for a stranger and other vocabulary thats important to know. This is a great teacher resource, here is a worksheet I have used a few times for ASDAN transition challenge. It involves making up a plate of what you would like for your Christmas dinner. Widgit symbols and images. EU Referendum Bingo – Brexit Bingo! Click the image below or here to download a widgit symbolled 10 card BREXIT bingo about this years referendum. Leave or Remain? I’ve tried to be balanced. EU Referendum Bingo for students to reflect on the BREXIT shambles. I hope this page has helped you prepare some teaching material and creating a lesson plan no matter what curriuclum model you follow. Each pedagicial model or curricula designed for SEND learners is unique and often requires teaching resources to be adapted for each school, classroom or learner to engage with. The core of teaching and learning is however the passion of the teacher. I hope this page of resources for teachers helps you create an inclusive classroom with some engageing lesson plans, for more information about teaching stratagies see this post. As well as the resources the learning environment is essential here are 5 ways to ensure every learner is able to engage. All these resources are downloadable for free but if you click on these links I make a tiny bit of money to help with the hosting costs.I would especially value a facebook, twitter or pinterest share. Sign up for Quidco a great cashback site here. Grammarly is a great free tool for checking spelling and grammar both for writing lesson plans and blogging.